Lizotte Inspection Services offers home inspection services across Saskatoon, Allan, Dalmeny, Warman, Vanscoy, Clavet, Martensville, Osler. 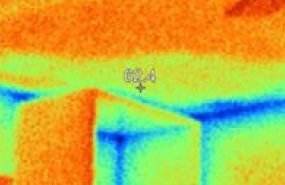 Lizotte Inspection Services uses thermal imaging and moisture testing to detect potential problems on property you’re considering of selling or purchasing. 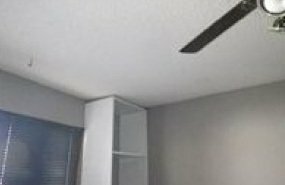 Can you tell that there is a lack of insulation in the corner of this bedroom? 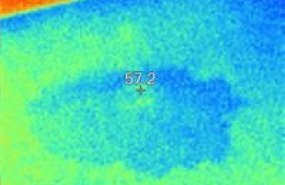 You can tell by using thermal imaging that there is a lack of insulation. Likewise, moisture testing detects areas that are wetter than others through moisture meter technology. The amount of moisture in, say, plaster or siding can be measured with moisture meters. 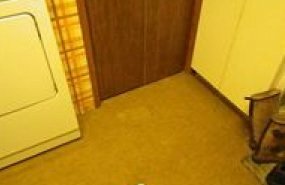 Can you tell that there is a wet spot on the floor in front of this laundry room closet? You can tell by using thermal imaging you’re looking at a wet spot. Lizotte Inspection Services will use thermal imaging and moisture testing to detect a number of potential problems on any property you’re considering selling or purchasing. Call Lizotte Inspection Services to book a consultation.